You are downloading Nokia 130 RM-1035 Latest Updated Firmware Flash File avail here to free download for your PC or Laptop. This version (10.01.11) is latest have been released for Nokia 130 mobile devices. If your Nokia 130 phone old flash file is cannot working or corrupted, then download Nokia 130 RM-1035 Latest Firmware Flash File from our site. The provided download is available at the bottom of this article. In this post, Nokia 130 MCU, PPM, and CNT all these files compressed in one file. By using this flash file you can easily flash your Nokia 130 mobile phone. 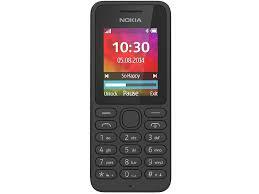 We have provided in this post-Nokia 130 latest flash file absolutely free and all visitors can easily free download. And we can also provide Nokia 130 connectivity USB driver for windows. If you’re Nokia 130 phone cannot connect to your computer operating system then download its USB Diver from our site at the below of this post. Remember that, before flashing don’t forget to get a backup of your important data like contacts, images, and messages. Because after flashing process completes your all important data will be deleted and you cannot get it again. If you want to free download Nokia 130 Latest Firmware Flash File from our site, just go to provided download links location, click here and follow steps to free download. If face any problem in downloading process or for more about this flash file please feel free and comment on this post. I hope you cannot face any problem in these steps because I check before posting.